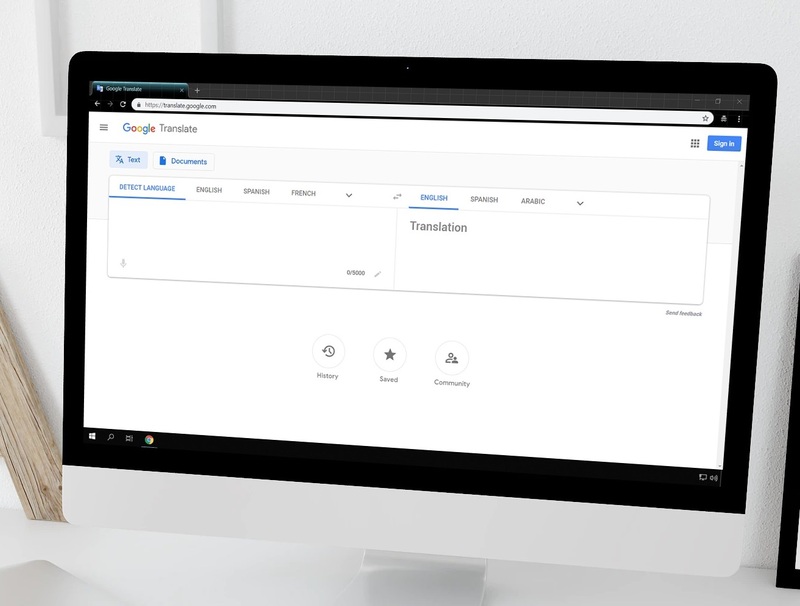 Launched in October, Google Translates Google Material Theme is now available to all users on the web. Apart from a redesign, the Google Translate also features a responsive design. The new Google Translate website has the same functionality and layout as before with two fields for language input and output. Below the white app bar, there are also tabs that allow users to switch between “text” and uploading “documents” for translation. However, the new Material Theme makes navigation easier while the tabs are also more discoverable. Additionally, the manual picker now spans the full width of the screen so users can easily select between different languages. "It’s been twelve years since the launch of Google Translate, and since then Translate [tool] has evolved to keep up with the ways people use it. Initially translating between English and Arabic only, we now translate 30 trillion sentences per year across 103 languages. ", said James Kuczmarski, Google Translate Product Manager in a blog post. "Google Translate has become an essential tool for communicating across languages, and we recently redesigned the Translate website to make it easier to use. ", he further added. Special buttons for history saved translation, and community is also available which allows users to search, sort, and export their past interactions to Google Sheets. The Google Translate also features a navigation panel for quick help, privacy, and more. The most significant change for the Translate is the responsive design that adjusts automatically to the user’s device screen. The layout switches dynamically between a two-column design and a single feed layout according to the screen demands. Related: Stop worrying about the period in your Gmail address — Google says it doesn't matter. Check out the new and updated Google Translate on the web – available now!